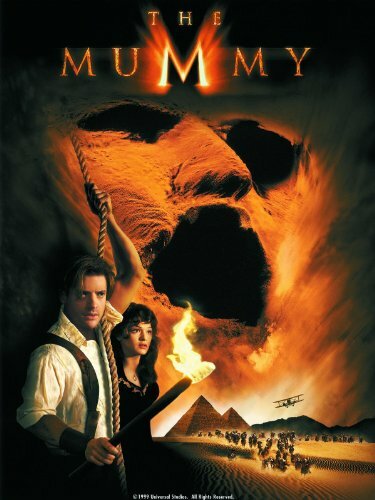 In fact, the characters are so funny and lovable that my research nut that’s screaming, “Why would they MUMMIFY someone they wanted to be cursed? Mummification wasn’t a punishment it was a privilege to ensure immortality! They would have tossed him on the sand to “rot” and be condemned to wander the earth as a ghost!” is actually pretty happy. We’re condemning a murderer to have his body prepared free of charge and a large beautiful coffin to ensure his spirit will have a place to rest for all eternity. Take that, Jerkface! So apart from the whole “white people saving the day” trope that gets a little flinchy in places, this is a pretty cool horror/fantasy flick with an awesome baddy. 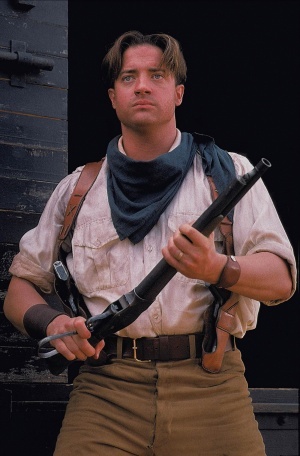 My only complaints are that a) Brendan Fraser is just too Canadian to be a bad-boy we’re supposed to believe he is. His face always looks like he’s about to say “sorry,” after every nasty line. b) Rachel Weiss was not in the 3rd movie in this franchise. I still get mad about that. She was having her baby! You couldn’t WAIT? ?